Thank you for visiting my site! This is a one-stop real estate website for all your home buying and selling needs in South Florida. 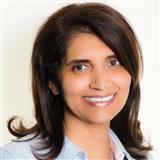 My name is Perveen Sawani and i am a professional real estate agent who will help make your search for a new home an enjoyable experience. I can make your dream home a Reality! Over 20 years of Sales Experience! Attentive to current market conditions and trends! Up to date listings, sales and rentals available instantly! Experience in short sales and foreclosures! Finding the best deals (in all markets)! Full service from contract to closing! I encourage you to check out my website for local neighborhood and school details, mortgage information, interactive maps,listings of properties of homes for sale, plus much more to get you comprehended on current market trends and conditions. This is a one-stop real estate website for all your home buying and selling needs in Miramar, FL.